Sometimes I don’t realise how much I like something until there’s three of them. Three can not be ignored. Three is almost a collection. It started with sourcing a big old trunk as a cheap coffee table alternative. Five pounds, you say? Thank you very much Ebay. At the moment, with my children being so little, it rarely gets used for coffee but is so sturdy we use it as extra seating. 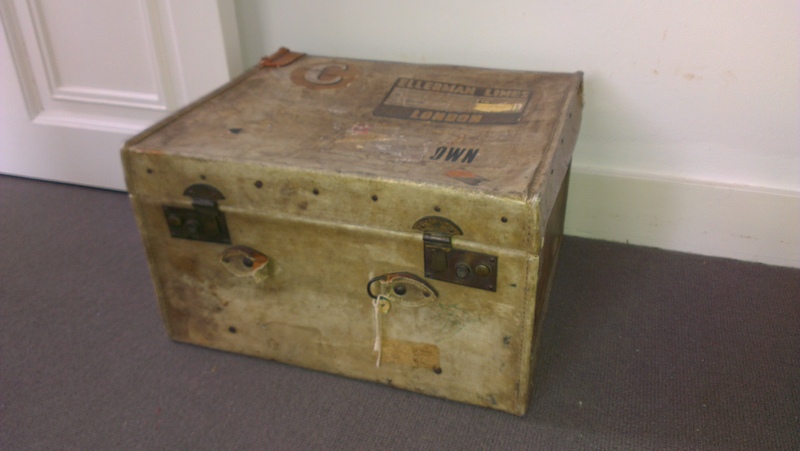 Then I got a taste for it… We currently use this one for storing Postman Pat toys. 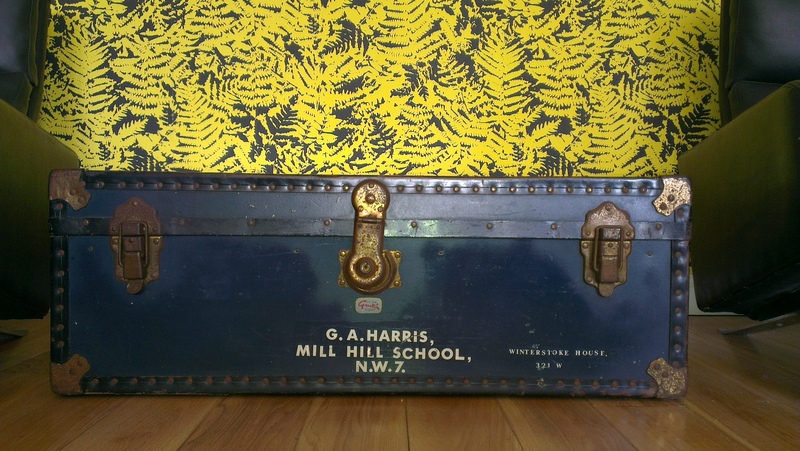 And finally, after a recent trip to one of my favourite charity shops (Returned to Glory), I came home with this lovely old suitcase as the first step in giving my bedroom some personality. But how to best show off vintage suitcases and trunks? Stylists love to stack them for storage and to use as side tables but if DIY is more your thing, be inspired by 40 creative ways of reusing old suitcases. Suitcase shelves anyone? 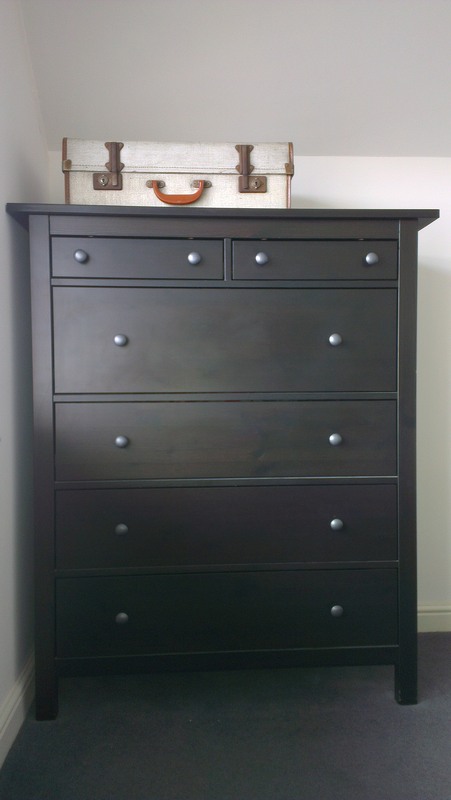 I have one exactly the same as the top one I use as a toy box and an old travellers chest for a coffee table. Love it! Great minds… And good luck with the renovations!